Montreal-based national carrier Bell is phasing out Bell MTS’s wireless service in Manitoba, instead directing new activations and upgrades to the carrier’s ‘Bell Mobility’ brand. According to a Bell MTS call centre representative who spoke with MobileSyrup, potential subscribers who call to activate a Bell MTS wireless plan will now be directed to sign up for a Bell Mobility plan. The same call centre representative explained that anyone looking to activate a new wireless plan at a Bell MTS retail location will also be directed to Bell Mobility’s plan offerings. Bell MTS confirmed these details. “Bell MTS is now promoting and selling the Bell Mobility brand in Manitoba in addition to our Bell MTS Internet, TV and Home Phone residential services,” explained a Bell MTS spokesperson, in an email with MobileSyrup. According to the same spokesperson, Bell MTS wireless subscribers who want to upgrade their devices or plans will be upgraded to a Bell Mobility plan. “Customers will of course continue to be able to bundle Bell Mobility wireless with their Bell MTS residential services,” said Bell MTS. It’s important to note that there are no changes to Bell MTS home phone, internet and television services — just the carrier’s wireless service. 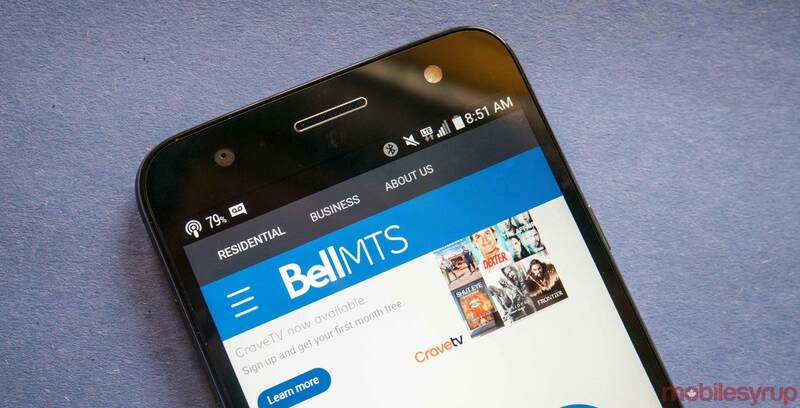 The phase-out of Bell MTS’s wireless service appears to be the culmination of Bell’s acquisition of Manitoba Telecom Services (MTS), a $3.9 billion deal that was agreed upon in May 2016 and that was completed in March 2017. As a result of Bell’s acquisition terms, the carrier acquired roughly 470,000 subscribers from MTS. Approximately 24,700 MTS subscribers were distributed to New Brunswick-based rural broadband provider Xplornet, while an additional 140,000 subscribers were distributed to Vancouver-based national carrier Telus. Bell also previously announced plans to invest approximately $1 billion over five years to improve wireless networks in Manitoba. The carrier has stayed true to its word, with Manitoba areas like Stuartburn, Woodridge and Zhoda all receiving expanding LTE-A service. When Rogers started a double data pricing war in Manitoba in May 2018, Bell even jumped on the bandwagon, providing new and existing subscribers the opportunity to double the data on 10GB, 15GB and 20GB plans. It’s worth noting that while Bell ensured Bell MTS would remain a competitive brand in Canada’s keystone province, the carrier phased out Bell MTS’s flat rate data plan in July 2018, while simultaneously increasing the cost of most consumer plans by $5. Bell Aliant subscribers in Atlantic Canada and Northwestel subscribers in Canada’s northern regions are also served by the Bell Mobility network.